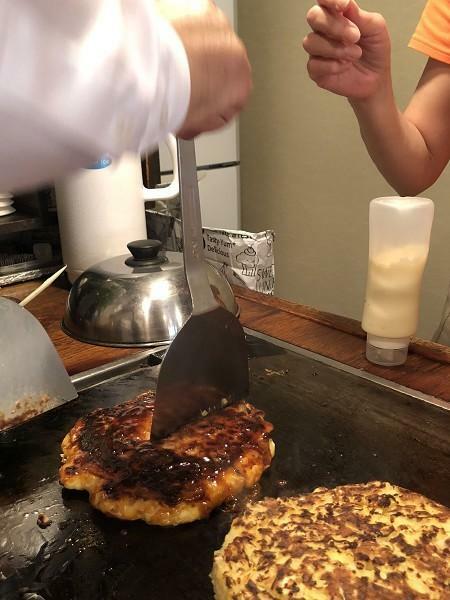 Try to cook okonomiyaki at a restaurant with grill-it-yourself establishment, where local people patronize. 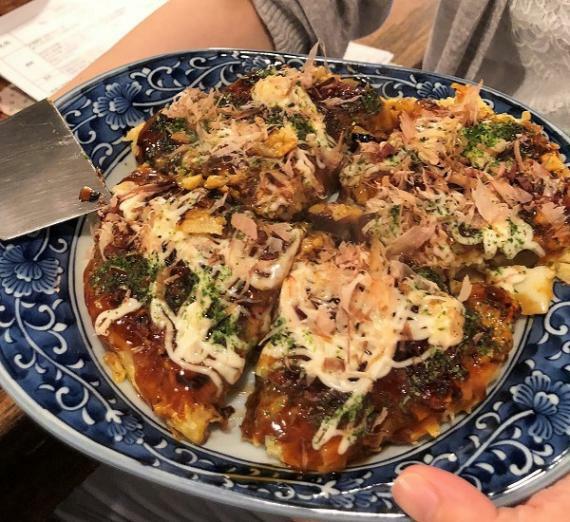 Okonomiyaki is a Japanese savory pancake grilled on a steel plate. Its main ingredients are wheat flour, cabbage, egg and your choice of beef, pork or squid. 1. Mix shredded cabbage(prepared), Japanese broth, wheat flour, grated yam(prepared) and egg. 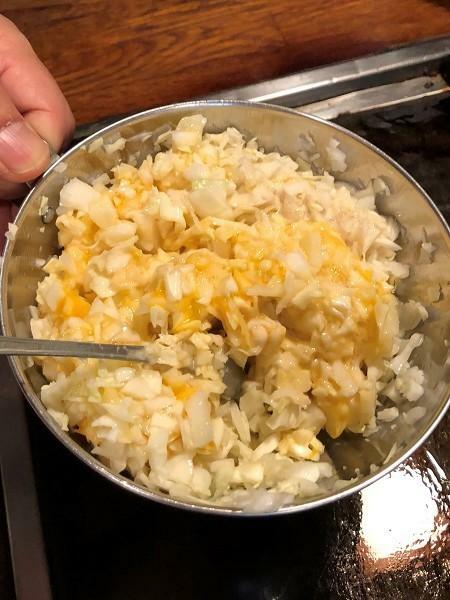 Make sure to leave it fluffy and not to mix too much. 2. Grill the mixture on the well-heated steel plate. Forming the mixture a little thicker on the plate is the key to make okomiyaki fluffy! 3. Beside it, grill slices of beef or pork on the plate. After lightly browned the both sides, put them on okonomiyaki and cover it with a lid. Just be patient until it get cooked through. In case you choose squid, don’t forget to add it to the mixture before grilling it. 4. After being cooked through, flip it with a tiny steel spatula called kote. This is the real thrill! 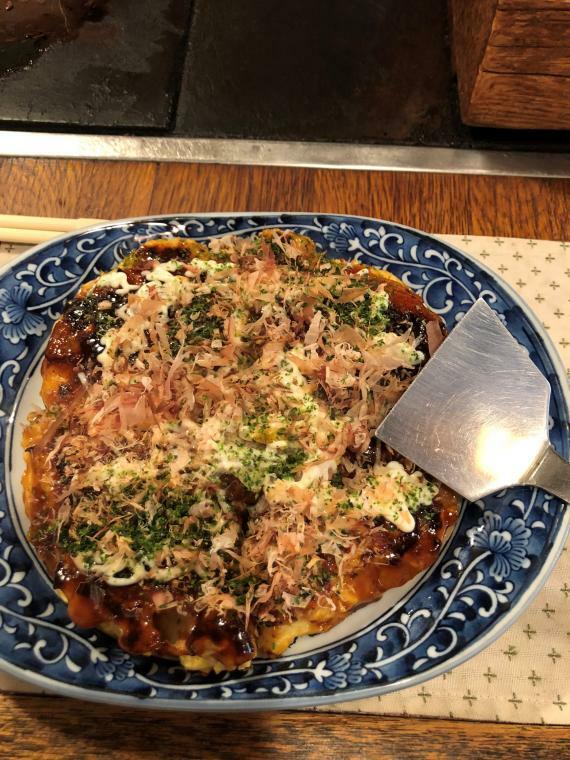 If you could flip it well, you have talent for cooking okonomiyaki. 5. After grilling the other side well, put a Worcestershire-style sauce and mayonnaise on okonomiyaki, and top with dried bonito flakes and seaweed flakes. It’s fun to see dried bonito flakes dancing in the rising steam. 6. Slice off a wedge using the kote and put it on your plate. It’s time to bite it! Itadakimasu! In the program, a local full of love of okonomiyaki teaches you how to cook okonomiyaki. Then, you try to make one for yourself. You might have a chance to chat with clienteles and find a new aspect of Nara’s charm. After the program, why don’t you go Izakaya-hopping in the neighborhood with well-reserved traditional buildings. Make sure not to mix too much. Great combination of sauce and mayonnaise. 18:00 Check in at Nara Visitor Center & Inn and walk to the okonomiyaki restaurant “Some”. 18:05 ～ 19:30 Cook okonomiyaki with local instructor's lecture. 19:30 Finish the program at the restaurant. ●Please inform us if you have food allergy or you are vegetarian. ●Ingredients include eggs and wheat flour. So, please understand that people who has gluten allergy or are Vegan cannot participate this program. ●No aprons available. Please be advised that your clothing may get a little dirty during cooking. Just in case, please wear clothes you don’t mind getting dirty. Participation by 1 person is negotiable. ●One glass of alcoholic drinks(beer, Japanese sake, shochu) or soft drinks(Coke, orange juice, oolong tea). ●Additional order of drinks and foods. Please pay on the spot if ordered. 15 minutes walk from JR Nara Station. 10 minutes walk from Kintetsu Nara Station. Please pay with credit card. * Calendar displays the next 7 months only. * The deadline for submission of request is 1 days before the desired date to allow for processing time. Therefore please send request early. 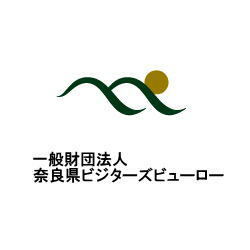 Nara Visitors Bureau is a DMC (Destination Management Company) based in this ancient city Nara. We offer various tours that are not just sight-seeing visits, but are cultural and historical experiences which you can feel, touch and taste the real Nara.